Spring is nearly here at the Cottage. The sun is out. Hens are doing the moon walk and giving the garden a makeover (last chance girls – the pens are now repaired !!) 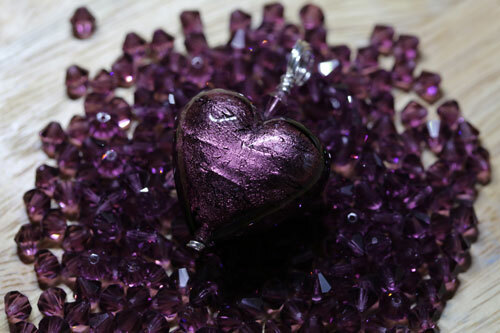 & I am in the mood for a right royal purple…………..
See our beautiful range of exqusite Murano Hearts. The featured one is a large purple heart on a silver bail.